Last year at this time many were thinking that Rocket Chassis and Longhorn Chassis were going to completely dominate everything in the world of Dirt Late Model racing. Drivers in those cars had scored numerous wins in the early going and appeared poised to add even more. And certainly, those two brands have made their way to multiple victory lanes so far in 2019. 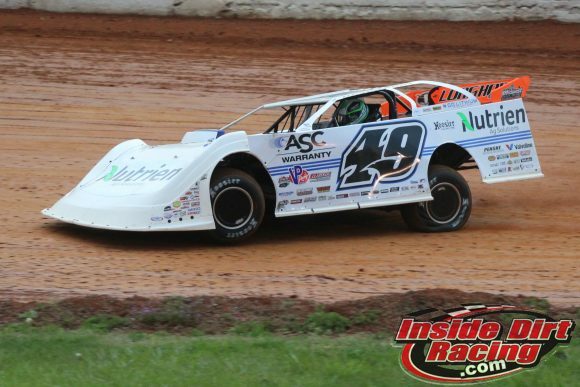 However, this past weekend on dirt tracks across the country showed that there is still a great deal of parity among the different types of cars available for racers. There were four races that paid $10,000-to-win or more held between this past Thursday and Saturday. The Ultimate Super Late Model Series sanctioned event at Volunteer Speedway in Bulls Gap, TN paid out $10,000 to its winner. The two Lucas Oil Late Model Dirt Series features at 411 Motor Speedway in Seymour, TN and at North Georgia Speedway in Chatsworth, GA each doled out $12,000 to the victors. And finally, the World of Outlaws Late Model Series Illini 100 in Farmer City, IL offered a check worth $15,000 to its champion. The remarkable thing about the four races that paid out the most money this weekend is that all four were won by drivers employing four different types of chassis. 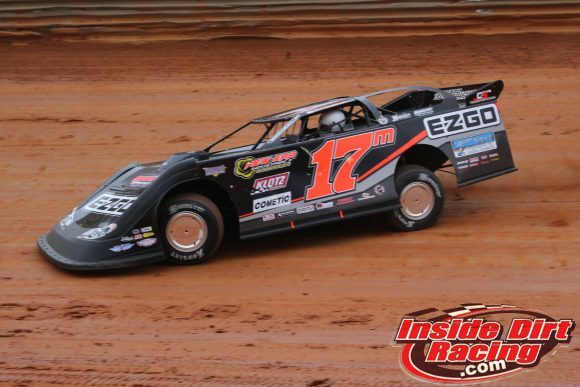 Dale McDowell steered his Sweet-Bloomquist Race Car to the Ultimate SLM win in Bulls Gap on Thursday night after he made a daring move in traffic to grab the lead away from Jimmy Owens on lap 31 of the 50-lap affair. From that point, ‘Mac Daddy’ led all the way to the checkered flag to take the checkered flag. The Lucas Oil Late Model Dirt Series made its first ever visit to 411 Motor Speedway on Friday night and fans showed up in full force. Ross Bailes started from the pole after winning his heat race. The South Carolina native put his Barry Wright Race Cars house car at the front of the field when the green flag waved then stayed there all night as his pursuers mixed it up behind him. ‘The Boss’ then rolled into victory lane at the end of the night for his first career LOLMDS triumph. The Lucas Oil tour then made its first trip to North Georgia Speedway in a decade to contest the highest paying feature in that track’s history. On what proved to be a caution-filled and high-speed event, Jonathan Davenport came away as the winner in his Longhorn Chassis. ‘Superman’ took the lead away from David Payne on lap 18 and maintained the top spot despite numerous restart opportunities provided for his opponents. The biggest race of the weekend in terms of payout was the WoO Late Models event at Farmer City. Brandon Sheppard scored his third career Illini 100 win and the fourth consecutive victory in that race for the Rocket Chassis house car team as Josh Richards won driving the blue No. 1 machine back in 2016. After breaking the old track record and winning his heat race, the ‘Rocket Shep’ grabbed the lead on lap 32 on his way to the win. Also note that other chassis brands were highly competitive this weekend as Capital Race Cars set the overall fast time at North Georgia and led several early laps with driver David Payne. That brand has won features earlier this year with drivers Chris Madden and Shane Clanton. 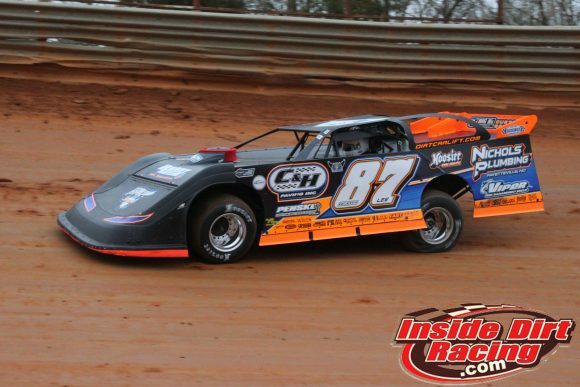 Warrior Race Cars also set a fast time this weekend with driver Ryan King in the LOLMDS race at 411 Motor Speedway. 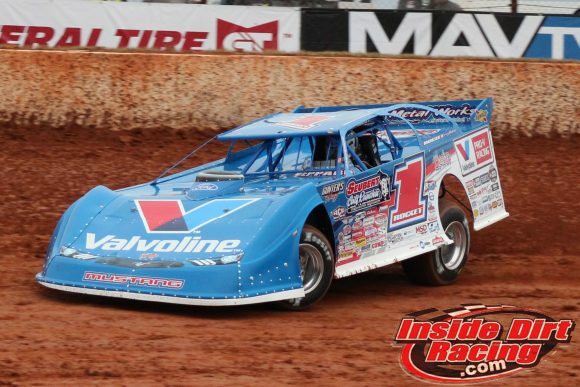 The bottom line is that there are multiple brands of chassis in the current landscape of Dirt Late Model racing and there’s no way that can be a bad thing for the sport.